Guys, not sure if all of you know Vinted.lt but it's a Lithuanian online platform where people can sell their own clothes, accessories, shoes etc. It's actually growing really quickly and I'm super proud that we have such talented people from our country! Basically, Vinted.lt started collaborating with various fashion bloggers more and more recently and their team is surprising us with various competitions, events or even gifts (which is amazing!) quite often. 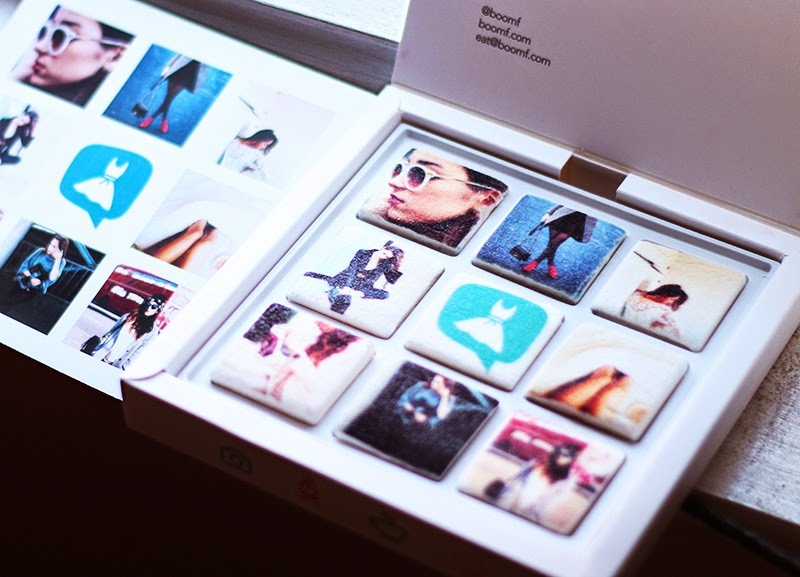 I've received this box full of marshmallows with my Instagram images a few days ago, how awesome is that??? I've never seen anything like that before so it definitely surprised me a lot! Thank you sooo much Vinted.lt, however even if I love marshmallows a lot, I really cannot eat these ones haha! I feel like saving them for a long time just to remember how cool this gift looks like. Isn't it amazing? ?